Good luck Sunmaya for her next race coming up in China in March 2018. After gathering a good ITRA ranking in 2017, Sunmaya was invited to compete in the THT 55 km event at Gaoligong by UTMB®. Here’s Mira Rai posting her own good wishes for Sunmaya. 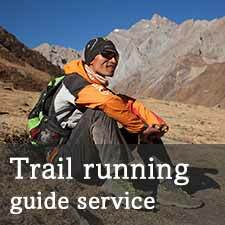 Sunmaya last competed in the Manaslu Trail Race, which was held last November. 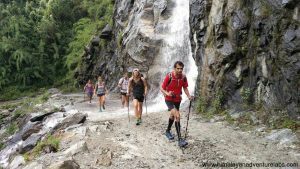 She beat Skyrunning World Champion Ragna Debats, which was great for Sunmaya’s ITRA ranking, though Ragna was far from on form with a painful stomach problem for the duration of the race. Sunmaya was lucky enough to benefit from one month of training in Malaysia with the family of Lloyd Belcher. The course at Gaoligong is not too hilly and is fast. Will it suit Sunmaya, let’s see. She comfortable around the 55 km mark and stated she is not ready for distances longer than this. This entry was posted in Blog and tagged Sunmaya Budha. Bookmark the permalink.